So, You're a Writer...: Three Ingredients for a Strong Scene + Giveaway! 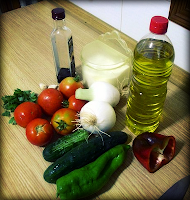 Three Ingredients for a Strong Scene + Giveaway! Today, I have a special treat for you guys! The lovely Becca Puglisi, one half of The Bookshelf Muse blogging duo, is here to talk about creating strong scenes. She recently co-authored The Emotion Thesaurus: A Writer's Guide to Character Expression and let me tell you, this woman really knows her stuff! "Through an easy-to-use list format, this brainstorming tool explores seventy-five emotions and provides a large selection of body language, internal sensations, actions and thoughts associated with each." Sounds fantastic, doesn't it? Well, you're in luck! Becca & Angela have graciously agreed to give a PDF copy of The Emotion Thesaurus to one of my lucky readers. All you have to do is use the widget at the end of this post. I added a ton of options, so enter however you like. :) This giveaway ends June 09, 2012 at 12:01 a.m. (EST). OK, so it takes more than three things to make a good scene. But Carrie has graciously allowed me to post at her blog today, and if I’d like to be asked back, a total takeover on my part seems ill-advised. So I’m limiting myself to three things every single scene in your story must have for it to be successful. Much of this is shamelessly stolen from Save the Cat (Blake Snyder for president! ), but as authors, aren’t we all just glorified thieves? So let’s embrace the dark side and move forward, shall we? Ingredient #1: A GOAL. Every scene contains a main character, and in every scene, the main character wants something. Maybe he wants to open an enchanted door (The Hobbit, chapter 11). Or possibly, he’d just like to get away from his horrific guardians (Harry Potter and the Sorcerer’s Stone, chapter 3). Regardless, if there is no goal, the reader doesn’t have anything to root for. There’s no momentum, no movement. For every scene in your manuscript, ask yourself, What does my main character want? If you can’t find an answer, create one. There must be a goal in every single scene to maintain reader interest and keep the pace moving forward. Ingredient #2: CONFLICT. Once you’ve figured out what your character wants in the scene, ask this question: What’s standing in the way of my hero achieving his goal? In the above examples, Bilbo can’t open the door because it’s been enchanted to only open on a specific, undisclosed day; conflict arises as time passes and his companions begin to turn on him. The Dursleys dislike Harry as much as he dislikes them, but they have the power; every interaction with them simultaneously reinforces his goal and keeps him from attaining it. Why is conflict so important? As Snyder says, conflict is primal. It gets our attention. Conflict, and the tension it creates, is what keeps the reader engaged. Ingredient #3: EMOTIONAL CHANGE. Character emotion drives reader emotion. If your character’s emotion doesn’t go anywhere, your readers won’t connect with him and they lose interest. (I’m seeing a pattern here). So the third question to ask about any particular scene is: What emotion is my character feeling at the start of the scene, and what does he feel at the end of the scene? For the reader to be emotionally involved, the character must experience an up or down change in emotion. Bilbo starts the scene excited (when the path to the hidden entrance is discovered), then moves to despair (when the weeks pass and they can’t open the door) and finishes the scene elated (when the door finally opens). Poor Harry starts out resigned to his miserable summer but quickly becomes hopeful when the mysterious letters start arriving. If your character’s emotions aren’t changing, then nothing must be happening, and if nothing is happening, the reader will lose interest. Make sure that in each scene, your character experiences a change of emotion. If, when looking at a scene, you find that you don’t have an answer to any of the above questions, either create one or examine the scene’s necessity to the story. It could be that the scene has no true purpose and should be cut to make your story stronger. And now that I’ve disclosed my three favorite ingredients of a good scene, I’ll ask you to complete the recipe. What else, besides a goal, conflict, and emotional change, should every scene contain? 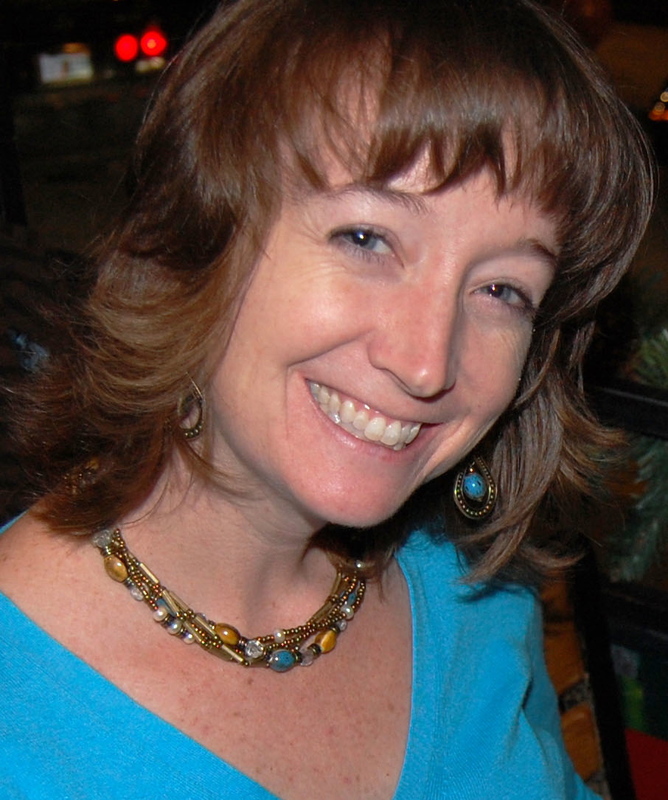 Becca Puglisi is one half of The Bookshelf Muse blogging duo, and co-author of The Emotion Thesaurus: A Writer's Guide to Character Expression. Listing the body language, visceral reactions and thoughts associated with 75 different emotions, this brainstorming guide is a valuable tool for showing, not telling, emotion. 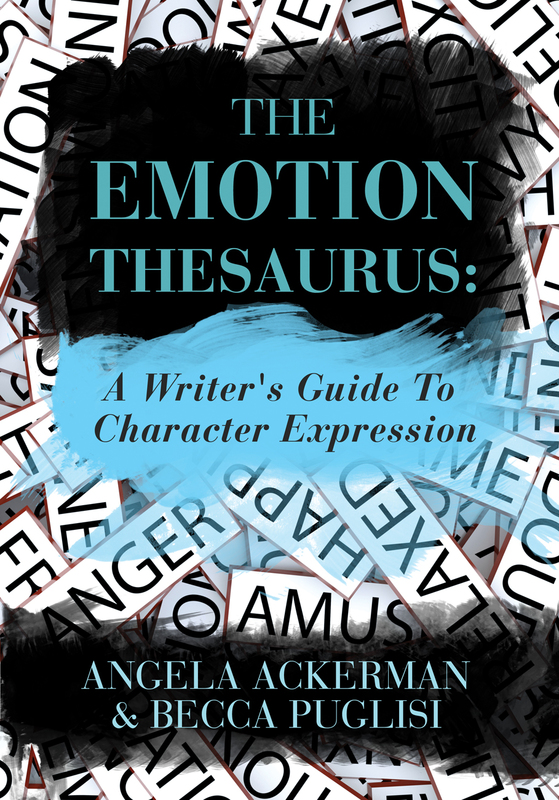 The Emotion Thesaurus is available for purchase through Amazon, Barnes & Noble, iTunes, and Smashwords, and the PDF can be purchased directly from her blog. Well, I hope Carrie and all her neighbours are all right. I love the Emotion Thesaurus and will be using it extensively in my next edit. i love this advice & it made me think! the other thing a good scene needs is a cliff hanger to make the reader want to know what happens next! I was hoping your power was back up, but I know that's a stretch after the horrendous storms of last week. I LOVE the Emotion Thesaurus & bought my copy as soon as it came out. Can't wait to use it on my next book! It's like each scene is a mini-journey! Great breakdown, Becca. And thanks for having her on, Carrie. I hope you get your power back soon. This is to concise and powerful I immediately added the list "goal, conflict, emotional change" to my edit notes for the next sweep through my MS.
Hope you get your power back soon, Carrie. Great advice and so well and clearly written. Greatly appreciated. Love their website! Great advice . . . I use a plot analysis chart when I write with 3 rows to fill in for purpose/goal, setting, and event . . . and I strive for 30 distinct scenes. The first scene is the hook, of course. Scenes 10 & 20 (or there about) mark major plot twists. Scene 15 & 25 mark minor plot points. I have a copy of the Emotional Thesaurus and I love it. Thanks for these great points, Becca. Hi, Carrie! Happy 4th of July. I have no idea if I entered that right but that book sounds fabulous. What a great post. This just cements my recent quandary over whether to include a scene I really love in my WIP. It has no purpose. I'll cut it. Thanks! I guess hook and ending that either moves the story forward or leaves us on a cliffhanger or ties something up etc. These are definitely excellent ingredients to create tension on every page. Thank you for sharing! Thanks for the big three, Becca. I'm off to use your advice. A perfect breakdown of the three key ingredients Becca! And Carrie, you are awesome for hosting us today! :) I hope you have a great Fourth tomorrow! I love The Bookshelf Muse and the book. When I got my copy in the mail. Great post, Carrie. Sorry about all the freaky weather but glad you're safe. Carrie, I hope you are okay. I can't wait to keep a copy of the emotion thesaurus. Ooh, a strong ending is definitely a necessary ingredient for strong scenes! Jameson, I agree--this checklist had been great in helping me determine whether a scene should be fleshed out or flushed :). Ooooooh. I do like a good plotting system, though I prefer post-its, myself. Lisa, I've found that the scenes we love are the hardest to examine objectively. I usually try to pinch them and poke them and prod them to get them to "necessary" status, but before long, it becomes obvious which ones can be saved and which ones need to go. Thanks for reading, everyone, and for all the encouraging comments. Carrie, I hope you're doing okay and you get power back soon! your book sounds wonderful. I am particularly drawn to the strong, silent type of hero...so there aren't a lot of external cues to work with. Which only makes it more fun, in my opinion, to decipher. As for scenes, these are great reminders. I would also agree that a strong ending to carry into the next scene is vital. And pacing! A story needs to flow from one scene to the next. Finding the right pacing is vital to maintaining a flow that propels the reader through scene, chapter, and book. I think these are great! I've bookmarked the page for the next time I have a problem scene. Thanks for the writing advice! I tend to have trouble with defining a specific, concrete goal in scenes; this post will definitely come in handy. Ah, pacing. My nemesis. Like Matthew said, each scene really is like a mini-story, and as such, it needs the right pacing, too. I getting ready to dive into edits and I'm going to make sure I keep these tips in mind as I go through the chapters! I hope you get your electricity back soon, Carrie! Unfortunately, I had this one pre-scheduled. I was in the dark for over four days. Mini-journey is an excellent way to put it, Matt! :) Thank you! Isn't she great? :) Thank you, Botanist! I must create one of these charts. Sounds great! Looks like your entries went through, Lisa! :) Good luck on the WIP-that-I-better-see-someday! Gotta love it! :) Thanks for stopping by, Alleged! My power came on last night. (Thank God!) I can't tell you how happy I am to be back! :) Thank you, Angela. Happy 4th of July! Thanks, Dana! :D Happy 4th! I'm back! You should have seen me doing the happy dance outside last night. :D Thank you for everything, Becca. You've been wonderful! I'm with you, Pamela! It's fun to decipher the strong, silent types. ;) Thanks for stopping by! Awesome! :) Thanks for stopping by, Angel! Isn't Becca fantastic? :) Thanks for stopping by, Rafael! Hope all is well in the aftermath of the storm. This is a wonderful post-- great advice, stated simply. I will share it with my critique group. I struggle with that, too. But I've found that just asking that question (What does my main character want in this scene?) helps to clarify that. Good luck! Welcome home, Carrie! I live in south Florida, and with the heat, I've been thinking of you. So glad your power's back on! Just what I was going to say. No point in writing a scene if everything is wrapped up so tidily that no one is interested in reading further. Keep them turning the pages. Oh my goodness. The heat and humidity have been horrible. I'm praying for everyone still without power. I feel blessed to have gotten mine back after the fourth day! First, my bit on the post. I've heard this advice enough to know I should do it. And by "it" I mean asking myself what my character wants during each scene. But alas, I still always forget. Maybe this will be the time it finally sinks in. Great advice. I am a huge fan of both Becca and Angela nd of course The Bookshelf muse. I have turned to their blog often for help with describing and portraying emotions. I am so glad they made a book with all of their tips and useful descriptions. Great tips here. It almost seems like each scene should be treated as a mini story. Thanks for the giveaway! Thank you! Oh, man. Winter power outages are downright miserable! And yours was prolonged because someone forgot to flip a switch? Geesh. I feel for ya! Me too, Melissa! :) Thanks for stopping by! It does, doesn't it? I'm going to try thinking of it that way. :) Thanks for stopping by, Nick! If you get a chance to watch the body language experts on the news shows, they're fascinating. Everything from someone briefly parting his lips with his tongue when he finds the other person in the conversation to be repulsive, to someone touching his wedding ring to feel secure. Thank you, Ruth. I hope it comes in handy! Hi, Melissa! Thanks for stopping by! Nick, I've heard this a number of times. I'm lacking the self-discipline to go through the whole story-writing process for each scene, but including these 3 elements is a good start. One of the books we read when researching The Emotion Thesaurus was Paul Ekman's Telling Lies. He's the guy that the show Lie to Me is based on. Very interesting stuff. Doesn't Becca rock? I saved it, too. :) Thanks for stopping by, Sally!